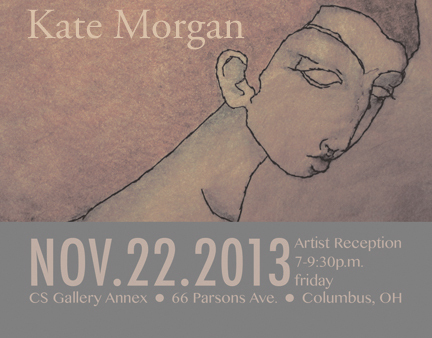 We are very excited to be hosting Kate Morgan as our November NX Artist! Kate on the cover of ALIVE! Check out her ALIVE interview HERE! I am inspired by people & portraiture of all types. I appreciate the human form and the emotions within, so I explore many mediums to convey the limitless individuality the human form embodies. I think of my drawings as portraits of a soul, not an actual person–pulling from the universal level instead of our clouded worldly view. They are more than their surface, much like us. They are my perspective & appreciation of who I am & what I know: a woman who embraces passion. To me they are sisters & brothers of this outlook. They exist unapologetic, proud & passionate. I create 2D art from mixed media. I use a variety of materials from plaster, paints, recycled papers, maps, metals, wood, resins, metal gears, polyurethanes, dyes and inks to change the aesthetic of each image. If a material inspires me, I use it! The easiest way to say it, is that I experiment & layer things. I love to incorporate things that have a history & give them new context.